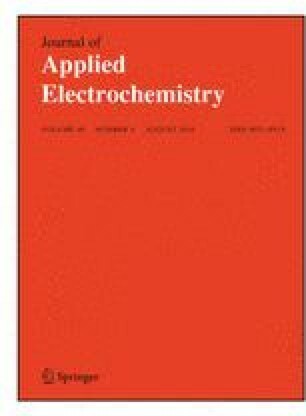 A new chemically modified electrode is constructed based on a copper(II) doped zeolite modified carbon paste electrode (Cu2+Y/ZMCPE). It is demonstrated that this novel sensor could be used for the simultaneous determination of the pharmaceutically important compounds paracetamol (PAR) and mefenamic acid (MEF). The measurements were carried out using the differential pulse voltammetry (DPV) method. The prepared modified electrode shows voltammetric responses of high sensitivity, selectivity and stability for PAR and MEF under optimal conditions, which makes it a suitable sensor for simultaneous submicromolar detection of PAR and MEF in solution. The oxidation peak current for PAR in Briton Robinson buffer (pH = 10) was measured at various concentrations between 0.25 and 900 μM. (The detection limit was 0.1 μM and S/N was 3.) It proved linear (the correlation coefficient was 0.9987). For the MEF a linear correlation between oxidation peak current and concentration of MEF over the range 0.3–100 μM, with a correlation coefficient of 0.9991 and a detection limit of 0.04 μM, was obtained. The analytical performance of this sensor has been evaluated for the detection of PAR and MEF in human serum, human urine and a pharmaceutical preparation. The authors gratefully acknowledge the Research Council of Arak University for providing financial support (No. 87.447) for this work. Thanks to Dr. Alan Happer from Canterbury University in New Zealand for his valuable comments.